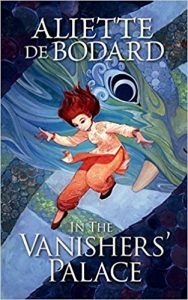 Aliette de Bodard, In the Vanishers’ Palace (JABberwocky Literary Agency 10/18) “Beauty and the Beast” gets a dark, postapocalyptic retelling with an Asian flavor and some lesbian romance, about a failed scholar who finds herself sold to a dragon needing a tutor for her children. 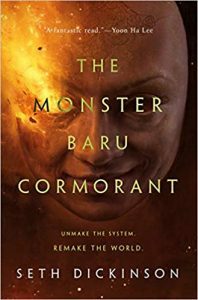 Seth Dickinson, The Monster Baru Cormorant (Tor 10/18) The unstoppable Baru Cormorant is back in this powerful and convoluted epic fantasy novel, sequel to The Traitor Baru Cormorant – but now she’s secretly working for the empire she vowed to destroy, and hoping for a chance to trigger a war that will end the Masquerade. 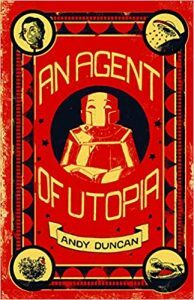 Andy Duncan, An Agent of Utopia (Small Beer Press 11/18) The latest collection from a popular storyteller known for his unique voice, this presents 12 stories, a selection of some of his best older works plus two new ones. 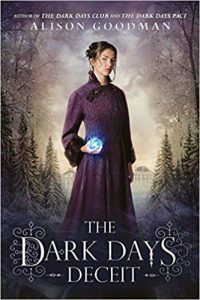 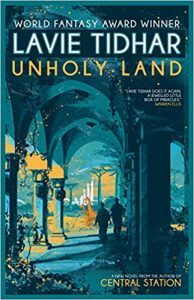 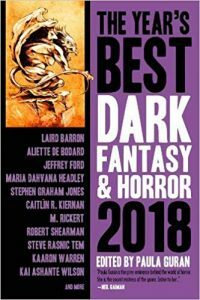 Paula Guran, ed., The Year’s Best Dark Fantasy and Horror 2018 (Prime 10/18) Dark fiction maven (and Locus reviewer) Guran offers 29 stories chosen as the best from 2017, with a diverse range of works by authors old and new including Laird Barron, Jeffrey Ford, Cassandra Khaw, Rebecca Roanhorse, Angela Slatter, and Conrad Williams. 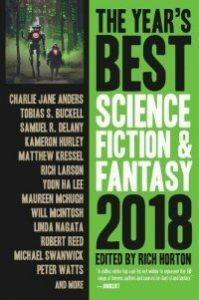 Rich Horton, ed., The Year’s Best Science Fiction & Fantasy 2018 (Prime 8/18) Locus short fiction reviewer Rich Horton presents his selection of the best of 2017 with 34 stories by an impressive roster of writers including Charlie Jane Anders, Tobias S. Buckell, Karen Joy Fowler, Kameron Hurley, Yoon Ha Lee, and Michael Swanwick. 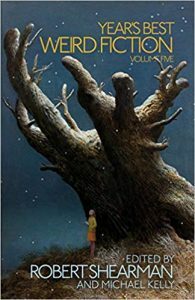 Robert Shearman & Michael Kelly, eds., Year’s Best Weird Fiction, Volume Five (Undertow 10/18) This year’s-best series focusing on the stranger side of the genre comes to an end with this volume, but for its finale presents an impressive, wide ranging selection of 24 weird stories from 2017, chosen by guest editor Shearman, from a stellar roster of authors including Nadia Bulkin, Brian Evenson, Alison Littlewood, Carmen Maria Machado, and Paul Tremblay. 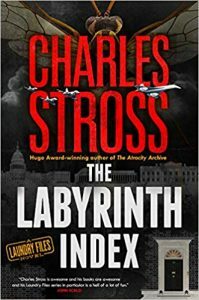 Charles Stross, The Labyrinth Index (Tor.com Publishing 10/18) Stross’s popular Laundry Files series, a Lovecraftian mix of spies, horror, and dark humor, has some fun with international politics in this ninth volume, which finds agents of the former government agency known as the Laundry ordered by the Prime Minister – an avatar of the elder god N’yar Lat’Hotep – to the US, to rescue the missing President. 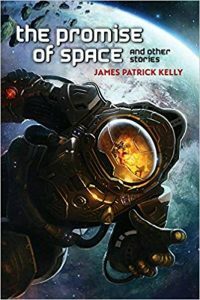 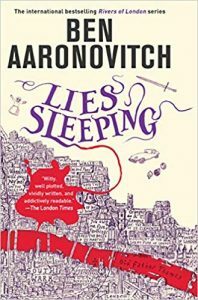 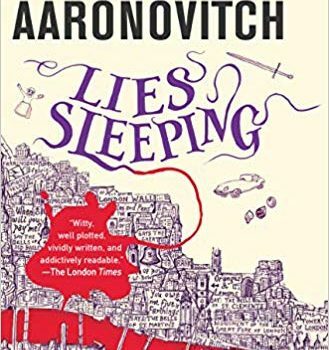 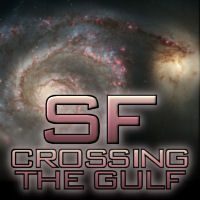 Published simultaneously in the UK by Orbit. 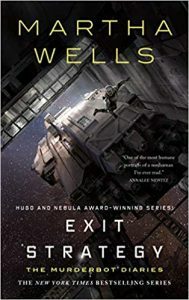 Martha Wells, Exit Strategy (Tor.com Publishing 10/18) The highly popular Murderbot Diaries SF series wraps up with this suspenseful, actionpacked – but still quirkily heartwarming – fourth novella, in which Murderbot, the self-named rogue SecUnit, finally faces off with the corporation that once owned it.